One of the largest challenges in creating a corporate responsibility initiative is that of participant engagement. For many, a reliance on statistics and corporate reports is the only approach offered. However, storytelling, despite its slightly hokey-sounding name, is the best way to encourage participation and to convey the meaning of your cause. 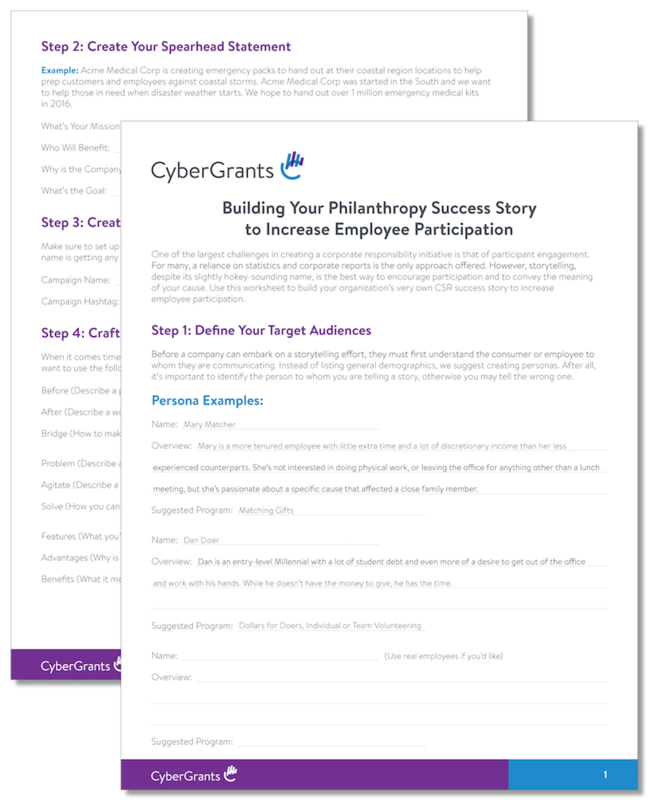 Use this worksheet to build your organization’s very own CSR success story to increase employee participation with activities such as employee volunteer programs.